My name is Jacqui Crew and I am passionate about my dogs and enjoy training and competing them. 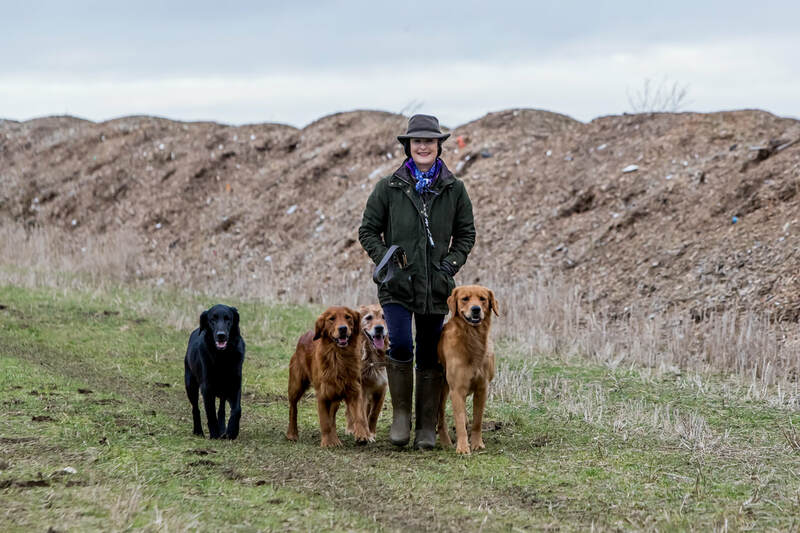 I have worked my way along the gundog path and was stuck for many years not understanding what to do next and found the training on offer confusing. Gamble and I won my very first rosette with Gamble which was a huge moment for me and so I do appreciate how important it is for novice handlers to achieve and what it means. I then bought Dexster and he really did change everything - So lucky to have had this wonder dog in my life. So now DEXSTER has retired from trialling but is still running in VETERAN tests. I am continuing trialling with his son KERTIS who won a novice trial last year and so will be competing in open trials this year. SCOTTY has won a trial but he now is my main picking up dog and HOGAN loves tests and so he does all the team competitions. JACKSON is a red fox Labrador and he is starting his career this summer in special puppy. Because initially I had to learn so much of how to get the best out of my dogs by myself I used more of obedience methods with fun and games, treats, targeting etc all to gain a connection.